New Delhi (01/02/2019): In the next five years, India will have one of the largest youth population in the world i.e almost 465 million in the 20-35 age group. 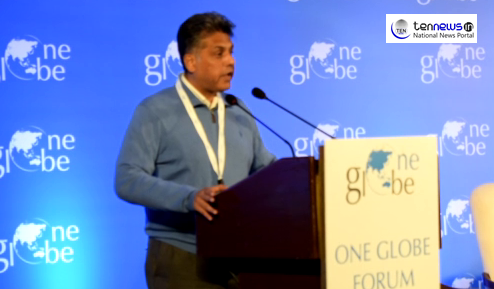 One Globe Forum 2019 was held today in the national capital which brought together global thought leaders who discussd, debated and deliberated on themes which are most relevant to building a 21st century knowledge economy in India and South Asia. “The challenge is to allow the society to understand the value of strong foundation. In India, we have a system in our higher education that is over regulated and under governed. As a result, we don’t focus on our outcomes, instead we heavily emphasize on processes that result in lack of flexibility. In many scientific and technical institutions we tend to teach what is already outdated 7 years ago and this is clearly what is wrong with the 21st century. In working towards the 21st century knowledge economy, do not teach children what to think; teach them how to think, that’s all that matters”. “As we speak, we are about 3 months away from the first round of general election which will have great amount of significance as more than 150 million people will participate in this largest democratic franchise. It’s is an extremely appropriate time to reflect on how much we have achieved in the past 56 months over the term of this Government and where we will be able to enhance our capacity towards building 2st century knowledge economy”.